Marketplaces and prices shown matched UPC number 704529356470 during our search. Multifunction: USB Charging Port & Headset Interface & Fit for 15.6'' laptop & Secret pocket in the shoulder strap. Built-in USB cable provides a convenient charging of your electronic devices, headphone interface you can enjoy your music with hands-free. Password Lock Equiped with anti-theft design techology. 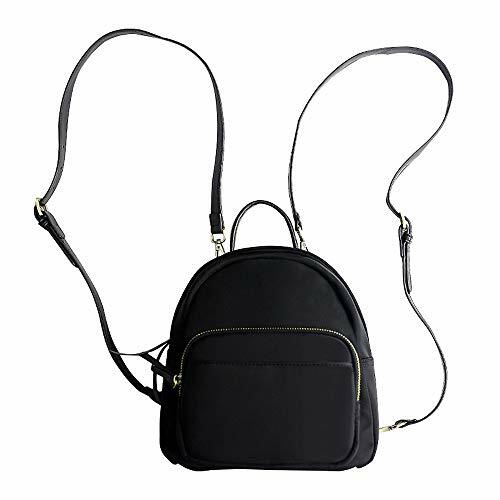 Includes A Theft Proof Combination Lock & Durable Metal Zippers, keeping the theft away your personal things in the bag. The lock is set just like a suitcase lock. Measurable: 19.7x 11.6 x 7.5 inch. Lightweight & Easy to tied on the suitcase's pull rod. Easy for carry as a single daypack or with a suitcase. 12 Months Warranty :With 1-Year Manufacturer's Warranty and 30 days no-questions-asked return policy. If you have any questions, please send us an email, we will do our utmost to reply as quickly as possible. 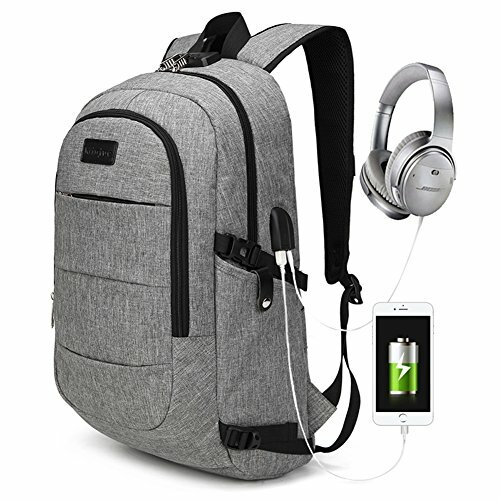 Parameter: * Item name: Laptop backpack * Color: black / gray * Weight: 350g / 0.77lb * Material: Nylon * Closed way: zipper Made From Durable Eco-Friendly Nylon Fabric With Two "S" Curve Padded Shoulder Straps,Shoulder belt made of honeycomb breathable material,Ergonomic design ensures the dispersion of gravity of the backpack. Large space with multi pockets for Storage: Multi pockets make it convenient to storage various items (15.6'' laptop, Ipad, clothes, shoes, mobile phones, flat, wallets, keys, books, pen and other personal items) Occasion: Simple design and good quality is suitable for every occasion, such as school, work, traveling , hiking , shop, camping or leisure time . A unisex design suitable for both men and women. What You Get: 1x Backpack 1x Combination Lock 1x USB CABLE NOTE:NOT INCLUDE POWER BANK Note The initial password is "000", please change your password after you get the bag. If you forget the password you set, please contact us, we'll tell you how to solve the problem. 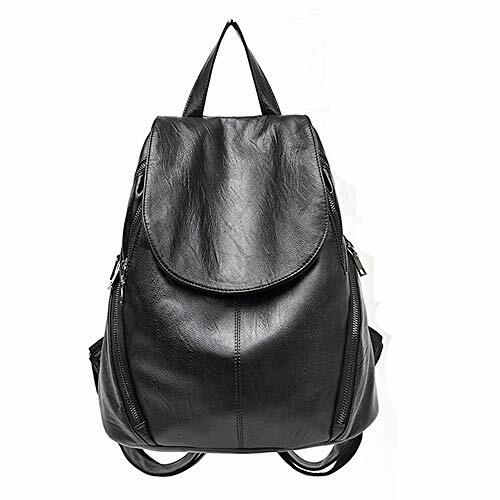 Enjoy the pretty backpack!